A delicious reduced fat** tomato sauce with sun-dried tomatoes. **This Stir In is light as it contains 30% less fat than the average Stir In. Store in a cool, dry place. Once opened, refrigerate for up to 3 days. Less time cooking means more time together. 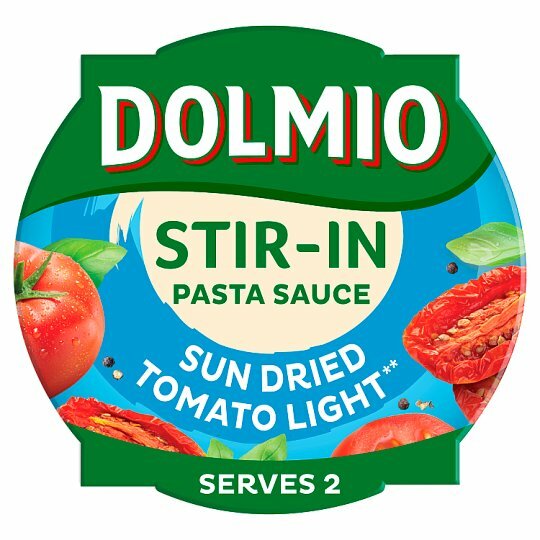 Simply stir in one pot of sauce into hot, freshly cooked pasta and enjoy! Why not try adding your favourite veg or even some chilli to spice things up?